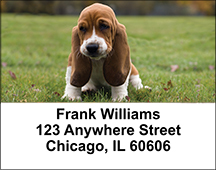 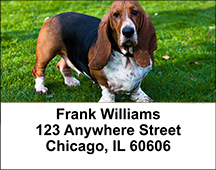 Dog lovers everywhere will adore these Basset Hound Address Labels that will provide endless hours of amusement. 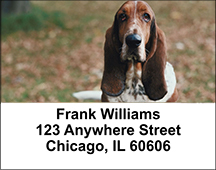 With four rotating images that showcase the expressions and poses of this charming dog you will be captivated by the long ears that sometimes almost dwarf him and sad eyes displayed by this doggie. 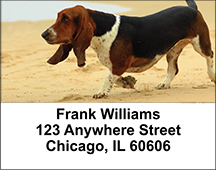 Short legs don't stop him from trying to run and keep up with everyone and a more faithful friend no one has ever had making these Basset Hounds Address Labels a wonderful way to show off your address. Everyone will have to smile as they catch sight of this guy and you will never tire of him.